Bon Scott tragically died on February 20, 1980. 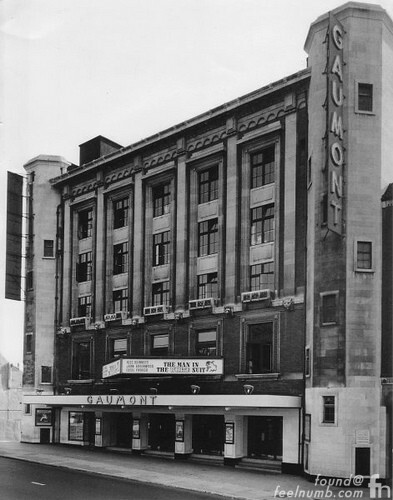 His last performance fronting his band AC/DC was on Sunday, January 27, 1980 here at the Gaumont in Southampton, England. The show was rescheduled from December 18, 1979. 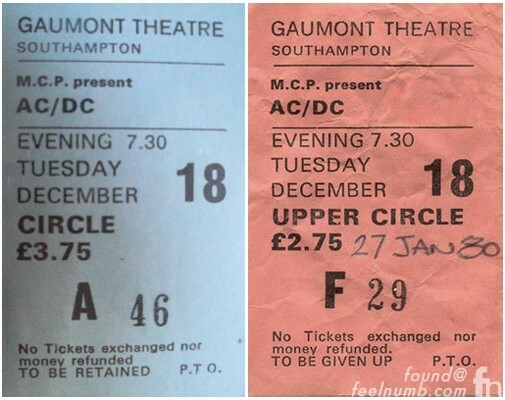 Here’s a ticket stub from the historic concert. Of course nobody knew that this would be his last show and only a few photos of Bon from that night have surfaced. 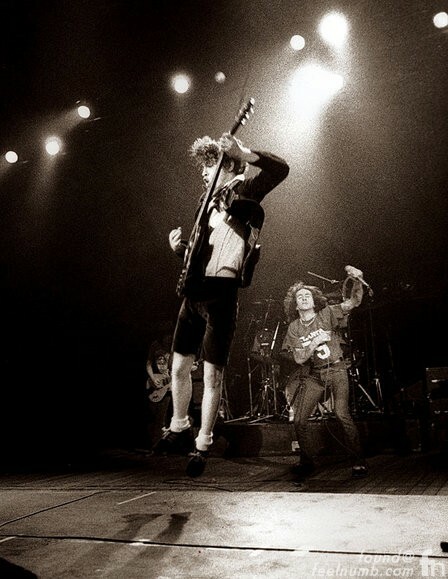 Here’s one on-stage of Angus Young in mid-jump with Scott behind him. 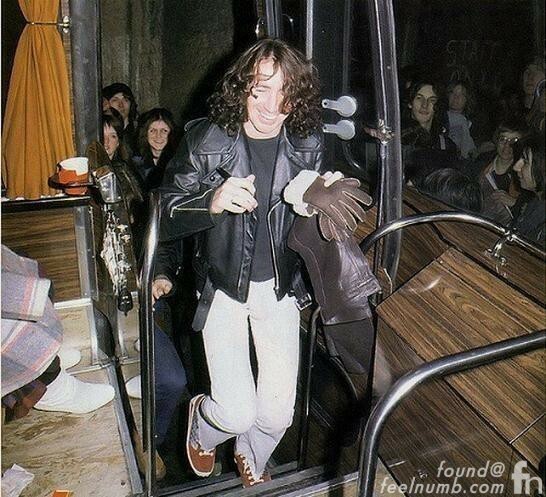 And finally here is Scott getting on the bus after the show. This final photo was taken a little bit after the bus left and Bon looks fast asleep laying in his bunk. Sadly, Scott would die less than a month later in this driveway below. Click the photo or link to find out the details.